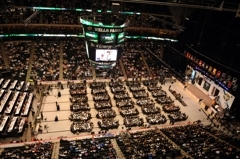 The NHL Draft returns to the self-proclaimed “State of Hockey” for the first time in 22 years, and for the first time in nine years a Minnesota-born player isn’t selected in the first round. Twenty-five years ago, a first-round shutout of Minnesotans wouldn’t have created a ripple on the international – or even state – hockey scene. 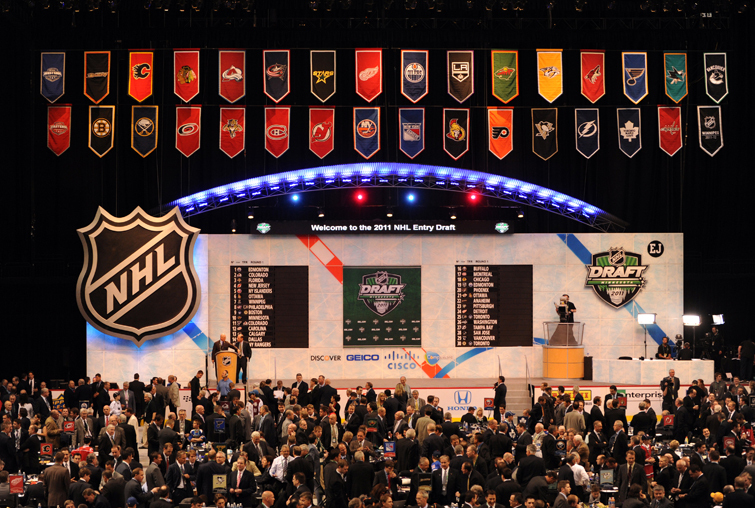 From the first NHL Draft in 1963 to 1985, only three Minnesotans (Mike Ramsey in 1979, Phil Housley in 1982 and Tom Chorske in 1985) were selected in the first round. There was another dry spell from 1989 to 1999, when Erik Rasmussen (1996) and Dave Tanabe (1999) were Minnesota’s only first rounders. Expectations changed with an explosion of 22 Minnesota-born first round picks from 2000-10. Wayzata’s Mario Lucia and Seth Ambroz, who grew up in New Prague, were considered the top Minnesota-born prospects. Both are expected to go early in Saturday’s second round. Other potential second-round picks include Joseph LaBate, who played last season at Holy Angels, and former Duluth East standout Andy Welinski. 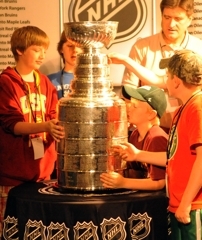 Bandel said there was a time when only about half of the NHL’s teams employed full-time Minnesota-based scouts. Now about two-thirds of NHL franchises have scouts working full-time in Minnesota, Bandel said. 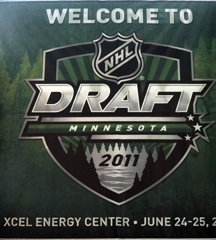 Two years ago, the Minnesota Wild selected Eden Prairie defenseman and Mr. Hockey Nick Leddy in the first round. Leddy, after a playing one season at the University of Minnesota, was a regular in the Blackhawks’ lineup last season after being traded. “To be two years out … no one would have ever though a high school kid could play one year of college and go on to the NHL without playing any junior,” Eden Prairie coach Lee Smith said. “And he just proved that it’s possible. 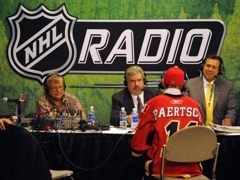 Blaine’s Nick Bjugstad, Mr. Hockey in 2010, was a first-round pick by the Florida Panthers at last year’s draft. He’s peparing to play his second season at the University of Minnesota. Bjugstad watched Friday’s first round from Florida’s suite at the Xcel. 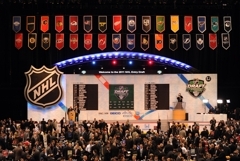 Last year the draft was held in Los Angeles. 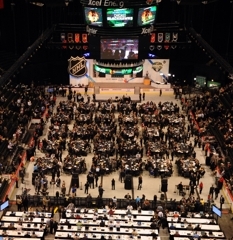 Duluth East’s Derek Forbort and Warroad’s Brock Nelson also were selected in the first roud. Turns out, it came to Minnesota a year late. 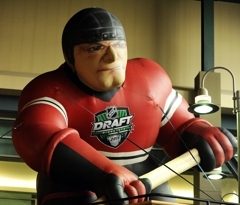 Note: Taffe, Minnesota's Mr. Hockey in 1999 and Rasmussen, Mr. Hockey in 1995 each played a season with the University of Minnesota before being eligible for the draft.